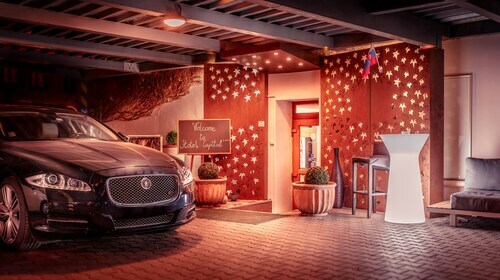 Located in the heart of Piestany, this spa hotel is within a 15-minute walk of Eva Swimming Pool and Kolonadovy Most. Spa Museum (Balneologicke Muzeum) and House of Arts are also within 1 mi (2 km). 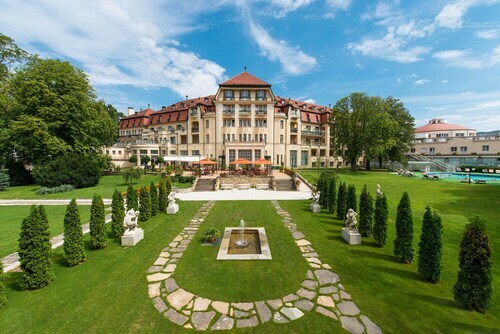 Situated on the riverwalk, this luxury hotel is within a 5-minute walk of Kolonadovy Most and Eva Swimming Pool. Spa Museum (Balneologicke Muzeum) and House of Arts are also within 15 minutes. Piestany Station is 29 minutes by foot. if you're thinking about a trip to Oponice, you should start preparing ages in advance. There's just 1 hotel within 10 kilometres. Wotif suggests securing a room at the Hotel Koruna, as it's the only available hotel near all the action. If you find yourself searching for more options in Oponice, consider the Alexanders Hotel and the Park Hotel Tartuf. They are 17 kilometres and 17 kilometres away from the city's main streets. 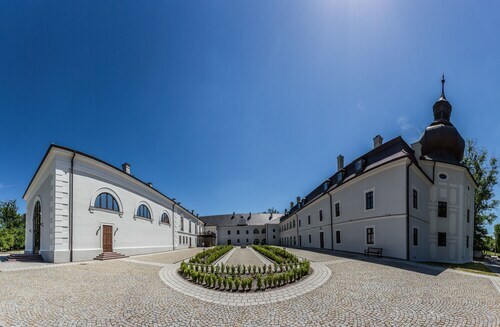 Further alternatives are the FUKAS Apartments Nitra, 17 kilometres away, and the Penzión Stará pumpa, 20 kilometres. The close by cities of Banka and Moravany nad Vahom are certainly worth going to. Banka is 25 kilometres to the northwest of Oponice, while Moravany nad Vahom is 25 kilometres to the northwest. 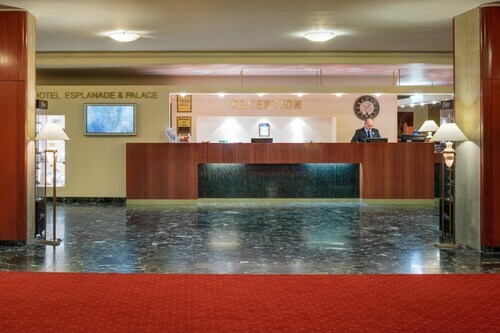 Hotels in Banka include the Thermia Palace and Spa Hotel Splendid. The Danubius Health Spa Resort Esplanade and Hotel Harmonia are some of the ones in Moravany nad Vahom. Get your sporting fix by taking a journey to Stadium of Anton Malatinsy, which can be found to the west of Oponice. The Holiday Inn Trnava and the Hotel Spectrum are both good options if you hope to stay close by. Visitors planning on flying through M.R.Stefanika Airport can book some accommodation at the Hotel BNC or the NH Bratislava Gate One, both of which are a short distance away. How Much is a Hotel Room in Oponice? Hotels in Oponice start at AU$163 per night. Prices and availability subject to change. Additional terms may apply.